Do you feel a surge of anger when your see a clearly spammy site outranking you in the SERPS? As Australian SEO specialists, it’s a common sight as we perform regular competition analysis. At such times, you must beware of turning to the dark side. As envy rears its ugly head, the thought can slip into your mind that maybe black hat SEO is not so bad after all. Resist the thought with all your might. 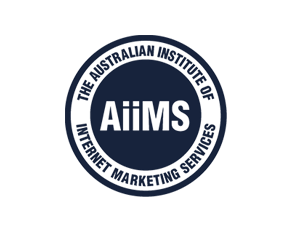 As an Australian SEO, you’re committed to giving your clients the quality service they deserve. That means ensuring their website contains engaging and helpful content and that any links are white hat (in other words, earned). It’s impossible to get passionate about blackhat SEO. Most of the work is drudgery. It might be fun hunting down the latest Google loophole, but when it slams shut in your face shortly after, it’s a real downer. You’ll always know deep down that you’re not creating anything of value. Posting a few thousand forum profile links doesn’t give you the same satisfaction of posting a quality blog post. You know deep down that the former is adding no value to the net. Lastly and most importantly, this kind of SEO is doomed to failure in the long run. Increasingly, Google is making sure you’re doomed to failure from the start if you don’t do things right. Blackhat SEO is like a sugar rush. You get a quick high and then come crashing down. But doing things right means being in there for the long haul. You won’t zoom into the top rankings overnight, but once you make it, you’re probably there to stay however much Google tweaks its algorithm. By donning your white hat and giving Google exactly what it wants – the quality relevant content that the searcher was looking for, you’ll find other sites linking to you naturally. They’ll be the kind of valuable links that really helps with ranking, links that are given willingly by quality sites. So the next time you see a clearly spammy site ranking well, feel pity, not envy. Just think at how much effort that poor SEO put in for a brief moment in the sun. Just keep on building quality sites for your clients and you’ll bask in the sun forever. The fact is that if you’d checked a week later, that black hat site would probably have already slipped into oblivion. Google may be slow and quirky at times, but it is relentless in its quest to guarantee a quality search experience. Just align your strategy to that and you’ll never have to fear the dark side again. This entry was posted in Advanced SEO and tagged Advanced SEO, Black Hat SEO, SEO Tips, White Hat SEO. Bookmark the permalink.